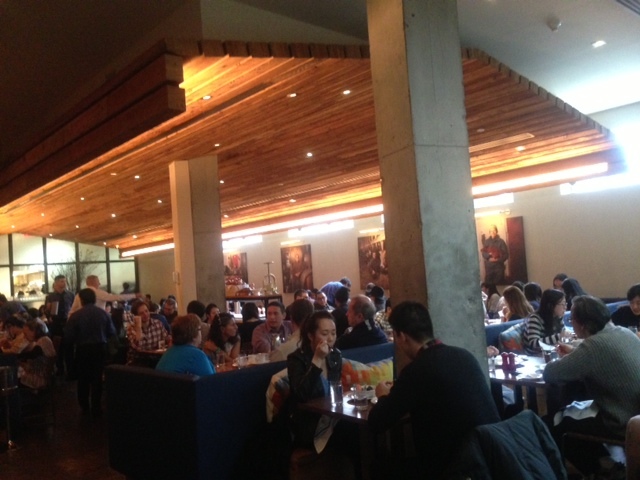 The seating was a little tight, but I loved the atmosphere and the imaginative, playful American cuisine offered on the menu. 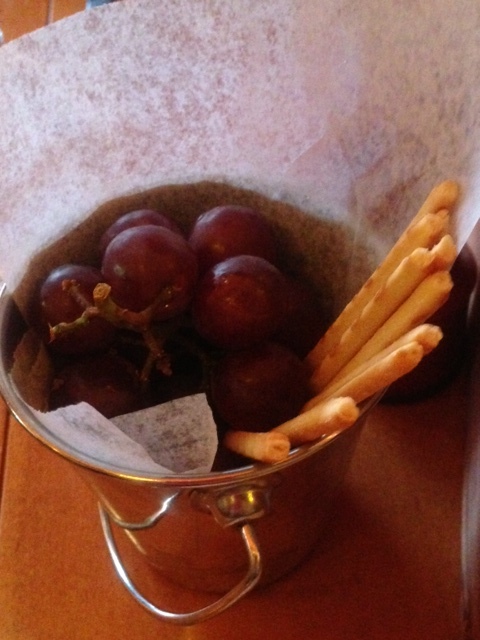 On the the table was a cute little bucket filled with purple grapes and David Burke’s famous pretzel bread sticks that are wonderfully seasoned and flavorful. 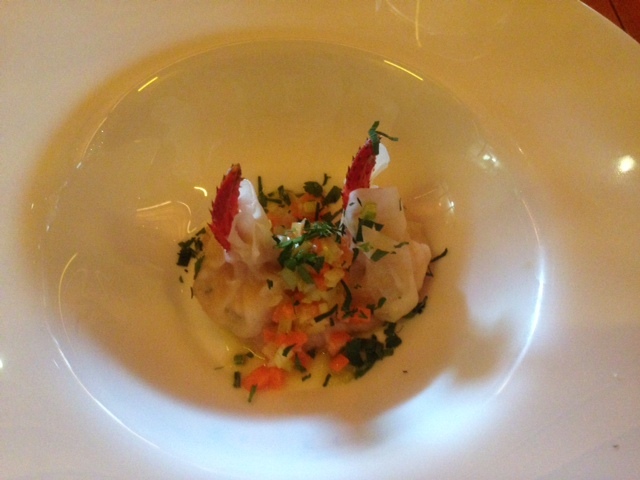 For my appetizer, I chose the lobster soup, which consisted of lobster dumplings, white bean and a brown broth that is poured over the dumplings. The lobster dumplings were delicious little bites with a lot of lobster flavor, but I wasn’t a big fan of the s0up broth. 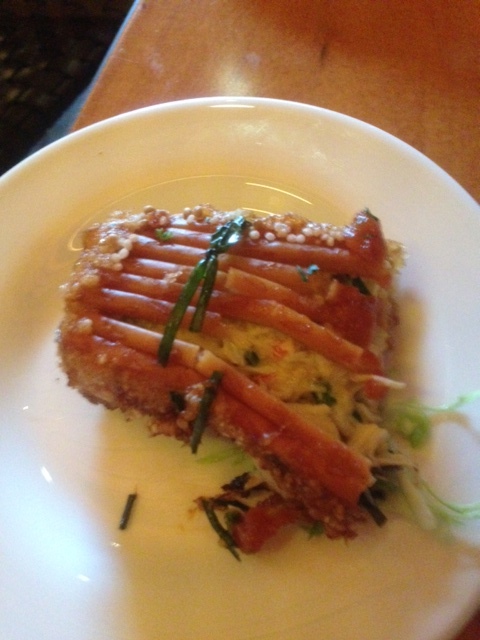 My friend ordered the pretzel crusted crab cake which he graciously shared with me. 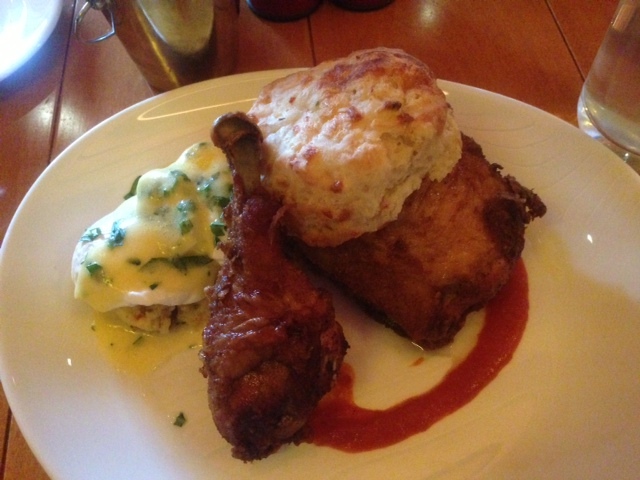 This was absolutely wonderful – The pretzel complemented the crab cake part and it was cooked to crispy perfection and full of robust flavor that wasn’t seafood-y at all. It was tough to pick the main course, but the waitress sold me on one of the brunch specials: Fried chicken with eggs, sausage polenta, and biscuit. This was a huge portion and I had to take home half of it, so I was quite satisfied. The fried chicken was crispy delicious and I really enjoyed the red sauce that it came with- Slightly sweet and very good. The eggs with the sausage were tasty- Fresh and flavorful. The biscuit was warm, buttery, delightful. For dessert, I had Rocky Mountain Road Sundae. which was delectable. 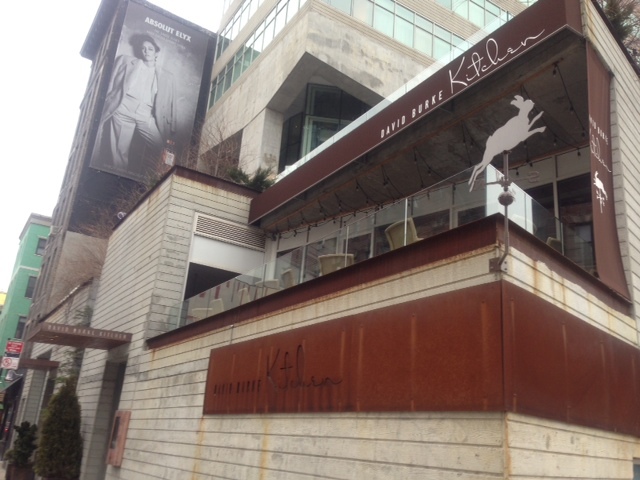 When the waiter brought it to the table, he poured the special chocolate sauce that hardens, over the brown butter ice cream. 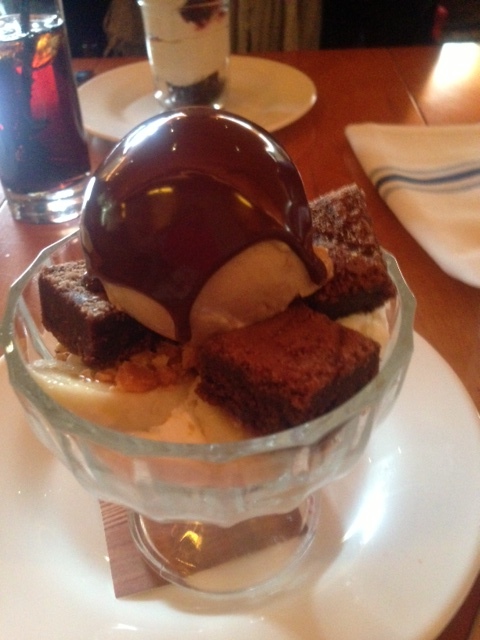 The sundae also came with whipped cream, bananas, brownie bites and peanut brittle. The brown butter ice cream just by itself was delicious. It had a sweet, light flavor and everything combined together (especially the peanut brittle) was a concoction of delight. 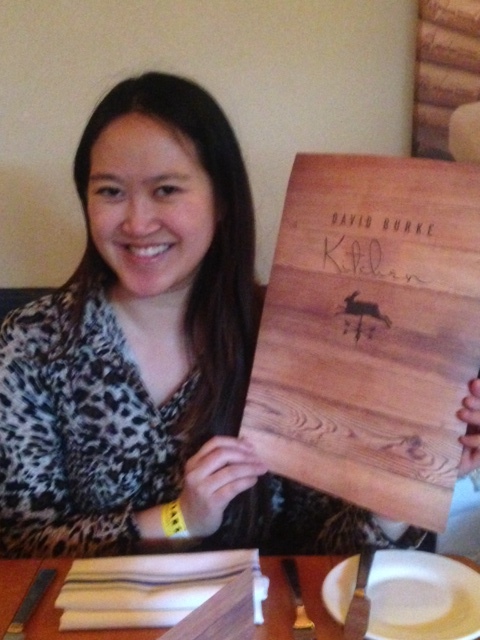 I thoroughly enjoyed my meal at David Burke Kitchen and the service was a dream.